Abstract; The main purpose of camel keeping is to provide milk. In a pastoral nomadic environment it is essential for the nomad household survival to maximize milk off-take for human consumption from lactating animals. During the course of millennia camel keepers have developed many different methods to prevent a calf to suckle his mother at will. This paper shows and explains 16 traditional methods used by pastoralists of various ethnic groups in the Horn of Africa and Middle East. Italian veterinarian (DVM,MSc,DVetMed,MRCVS) who since 1981 has worked and learned about camels with nomadic camel pastoralists in Kenya, Sudan, Somalia, Ethiopia, Eritrea, Algeria (Western Sahara), Kingdom of Saudi Arabia, Yemen, UAE, Iran. Recipient (2007) of the Award ”Distinguished Camel Scientist” by the College of Veterinary and Animal Science, Rajasthan University, Bikaner, India. Author of: Dioli, M. (2007). 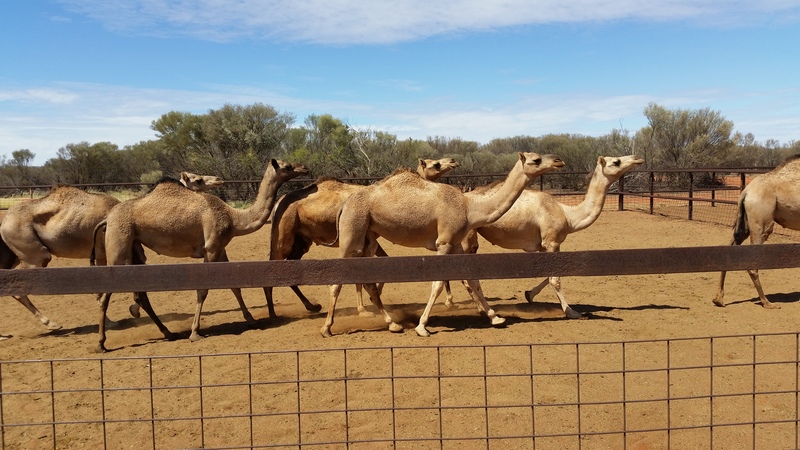 Pictorial Guide to Traditional Management, Husbandry and Diseases of the One-Humped Camel. Photographic CD-ROM. and of Schwartz, H. J., Dioli, M. (1992). The one-humped camel in Eastern Africa. A pictorial guide to diseases, health care and management. Margraf Scientific Book Berlin, 282pp. Here is the link of his pictorial guide which is very useful for field camel work. Camels were introduced in the United States in different time period for work and armies. Camels were landed in different coasts of the US and were used mainly for work. U. S. Army explorer of the American West, Major George H. Crossman, recommended to Congress in 1836 that the Army should experiment with the use of camels since the chief desert problem for the traditional military animals was lack of water and forage. Camels could go longer without water than horses or mules. As the other parts of the developed world, the camel role as beast of burden was diminished in the U.S. also and was kept by hobbyist and conservationist people for years. In the recent past, the camel products, especially milk was explored by scientists and was considered as natural therapy for various complex health issues. A move to use camel milk was initiated around the world and this task was pioneered by Dr Milli Hinkle in US. Here some details about the work of Milli in her own words. In 2009 Dr. Millie Hinkle went before the FDA and NCIMS and had the laws in the U.S. changed to allow for the sale of camel milk. There were no commercial camel milk dairies set up in the U.S. at that time. The first dairy went into operation in early 2010 with only 2 camel. That dairy then grew rapidly to 14 camel within the first year. By the end of 2010 there were 8 camel dairies set up across the U.S. by Dr. Millie Hinkle. 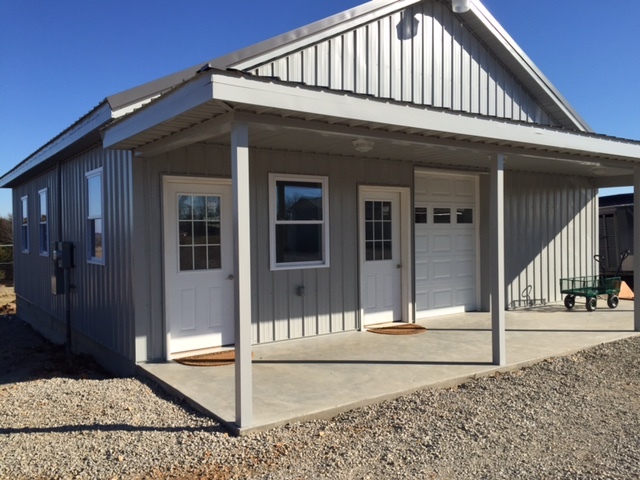 Today there are 16 dairies in the U.S. with 4 more that are going to be in operation by the end of 2015. The smallest dairy has approximately 7 camel with the largest dairy at 70 camel. ( The entire camel population in the U.S. is only about 3,000 camel). There are 3 Grade A dairies in operation in the U.S. today . ( to become Grade A the dairy must meet FDA and USDA requirements). The mortality rate in baby camel was approximately 20% in 2009 and with the efforts of Dr. Hinkle that rate has now dropped to less than 5%. We have also started a pedigree program here in the U.S. with dairy owners in order to keep tract of breeding . This will enable us to know what camel are better milkers and to also not encourage interbreeding because we know the origin of each camel as well as any physical characteristics that we want to note.The price of a pint of milk ( 16 0z.) is approximately $ 10 from the dairy and up to $ 25 in food stores. The milk is shipped frozen across the U.S. The dairies have such a demand for the milk that there are waiting lists for the milk in many areas. The average milk yield per camel is approximately 5-6 liters per day with a few camel giving slightly more. The camel are milked twice per day the milk is immediately processed and frozen and shipped out across the U.S. to homes and stores. This April 2015 camel milk was finally entered into the PMO of the NCIMS which governs the milk industry in the U.S. and it is now complete. Credit was given for this at the National Conference On Interstate Milk Shipments by the FDA and NCIMS to Dr. Millie Hinkle. It was noted that she was the person responsible for the camel milking industry and for having the laws governing the sale of camel milk and for setting up the dairies and for overseeing the test kits required for the camel milk to become part of the PMO. US can be a huge market for camel milk and milk products. This country can be a great place, a camel heaven in the complex days of climate change to come. Camels were introduced and adapted by Afghan cameleers in Australia. That time almost 20000 camels along with 2000 cameleers were brought to Australia for different purposes of work. The details can be seen in the link below. 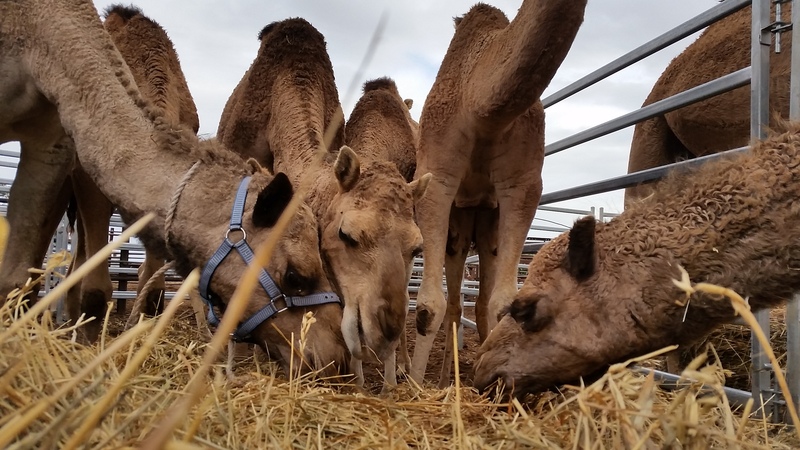 Australia is blessed to be home to the world’s largest population of free roaming dromedary camels, animals that have been effectively quarantined against typical camel ailments found in the rest of the world since the early 1900s. 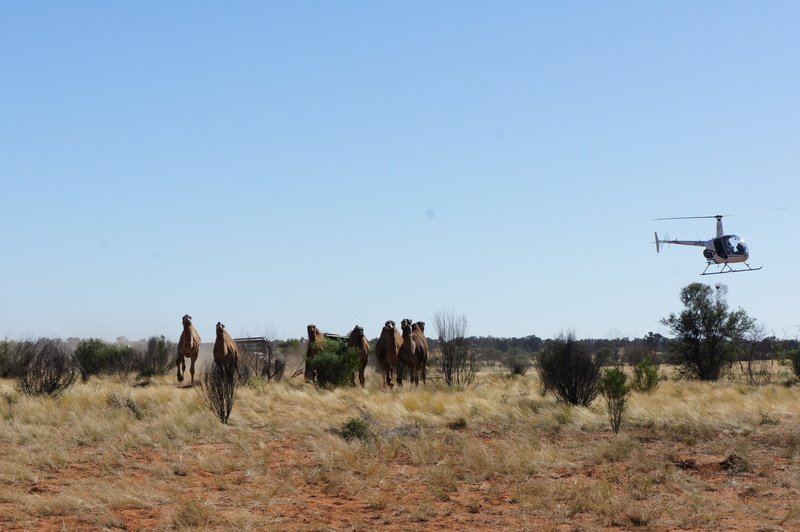 In 2008 Desert Knowledge, an Alice Springs based organization, put together an estimate of wild camel numbers in Australia, they spread far and wide that there was around 1 million camels in Australia. Later on camel shooting suggestion came on the ground. Camel milk is in such high demand in Australia that it was being resold at $200 a litre on Gumtree (on online trading site) in November 2014. There is anecdotal and scientific evidence suggesting that camel milk can be invaluable in treating a number of diseases; from autoimmune issues to diabetes and renal problems to autism to therapy for those with cancer. 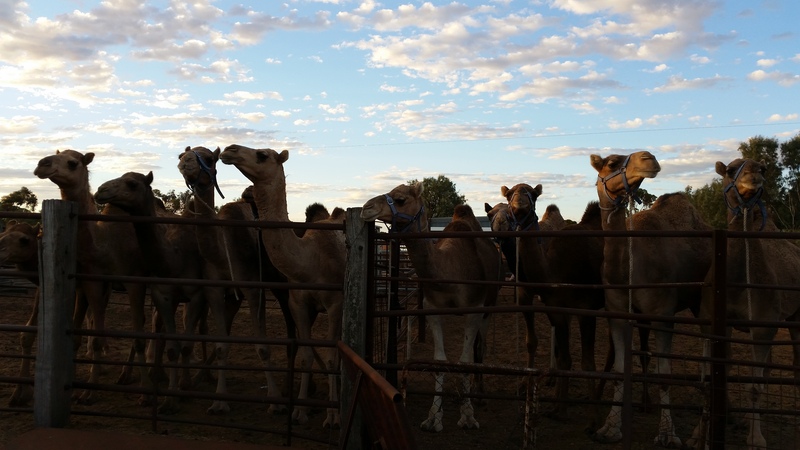 A camel milk project was then desigend and implemented to harvest this untapped resource of camel milk in Australia. This project has constantly reassessed its targets. For details, please go to the link below. Thanks a lot for your kind hearted help, which made me, what seems to be an impossible to achieve considering the place where am living. Getting a camel milk to the Southern part of India, Chennai from scorching Rajasthan, is a mighty task. Thanks, Raziq sir, for providing me all possible inputs and continuous guidance. Am thanking Christina Adams who is the one first I contacted and, Hanwant singh Rathore and Ilse too for helping me supplying the camel milk, in a neatly packed way, so that milk does not get decompose. There are many significant changes in my kid after he starts taking camel milk. Currently, he is taking pasteurized milk of 700 ml+ daily and following are the improvements which we achieved. 1) His unnecessary irritation has gone. 2) His patience to wait for anything has increased considerably. 3) His eye contact improved. 4) His sleeping pattern has been streamlined and now he is having sound sleep daily. 5) His liver inflammatory has gone, resulting in good sleep, gained weight. 6) Now he is understanding small and simple commands. In between, we went to Punjab, India and got chance to get raw camel milk for a period of month time and that made a big difference in his eye contact. Am spreading awareness about benefits of camel milk across the autistic parents here and giving them the milk from my stock. am helping my colleague’s relation, who is having Alzheimer to take camel milk daily, which is a type of dementia that causes problems with memory, thinking and behavior. Symptoms usually develop slowly and get worse over time, becoming severe enough to interfere with daily tasks. Now he is doing really well and he uses to walk with others help, but now he can able to walk on his own. Next time, we are planning to get Raw milk henceforth and to feed everyone, who is having the problem, for which camel milk is the solution 🙂 . Am started just with a dot, people like Christina Adams, Abul Raziq Kakar, Hanwant singh Rathore, Ilse, made it as an excellent art altogether. Someway, there should be a relation between us all in some form, which is binding us now and happy to have such contacts, which is contributing something to the needy ones. For further reading please look at the following links. Camel role is incredible in its cradle of domestication and its original habitats. In the 19th Century, some camels were transported to USA, Australia, and some other places for work and armies. After automobile revolution, the role of the camel as a beast of burden was gradually diminished 1,2. In Australia there are thousands of feral camels, now it’s estimated a million, roaming across Australian deserts but unfortunately considered as a pest. Government launches project to kill camel (considering as a pest) and save the scarce water resources in the region 3. Many friends from Australia and other parts of the world (including the author) raised voice to halt such killing which results in wastage of such a unique resource. The camel activists gave many good arguments/suggestions to save feral camel; a tool to adapt to the climate change and judiciously use of the scattered bushy vegetation of the region 4. Unfortunately, there are still many challenges, the main one is the weak faith and poor understanding of the present Australian government on the onset of climate change 5. In this series of articles, I am starting to share links, photographs, and views of the people around the world, who floated the idea to sustainable use of camel for the well being of humanity. Modern science also proved the role of the camel in all aspects especially, food security, sustainability, resilience and adaptation to climate change and human health. All friends and colleagues are warmly welcome to freely review, comments, share in this series of knowledge sharing. As a first innovation, I hereby share pictures sent by Hannah Purs from Australia. I hope she will respond to reviewers. The long bones of camel are very attractive for nomads’ women and use for making jewelry. The camel rearing communities have very firm links with camel culture and consider this special creature as part and parcel of their heritage and culture. Camel is full of qualities and strange abilities. The author has tried to compile some of the special attributes known to humankind so for. The attributes are grouped in main subjects and given in numeric order. Camel is the only livestock species which was originally domesticated for milk; God gifted the camel to Prophet Saleh (PBUH) for milk only, almost 3500 BC. Camel is the only animal of dry lands which can produce up to 40-liter milk per day (some specimens are recorded) in ordinary grazing conditions. Such high yielding specimens are found in Sub-continent, Arabian Peninsula, Africa and other parts of the dromedary camels’ habitats. It is the most efficient animal in milk production on per unit feed/water consumption basis, i.e. a cow in rangelands conditions needs 9.1 kg of dry matter feed to produce one liter of milk, while camel produces one liter of milk by consuming only 1.9 kg of dry matter feed in the same conditions. The lengthy days without water couldn’t depress the camel’s milk quantity or quality. The milk becomes even more watery during the period of water scarcity to fulfill the water requirements of thirsty suckling calves. Camels’ lactation ranges from 9 to 18 month and produces up to 12,000 liters/lactation. A gift of nature and gold of desert, the camel milk (CM) is miraculously proving as a superfood. Because of the appreciable level and unique combination of nutrients (minerals, vitamins, protein, and fatty acids etc.). CM has medicinal properties covering a wide range of ailments like autoimmune diseases, allergies, asthma, rashes, diabetes, liver disorders, rheumatism, inflammatory conditions, piles, urethral irritation, infectious diseases, stress/depression, peptic ulcers and even cancer. The nomads/Bedouins have a long history of experience while healing such diseases with the CM. The manifolds enriched levels of minerals (potassium, magnesium, iron, copper, manganese, sodium and zinc) than cow milk, making it a real superfood. Camel milk is used as the aphrodisiac, especially in the stressful conditions of the dry hot weather. The appealing level of Nanobodies in CM making it very special tonic for making the mood. As well as CM is a nervine tonic and helps in good eyesight. 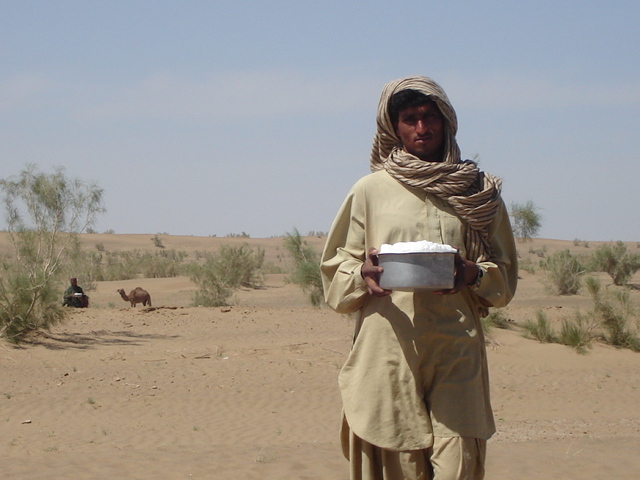 The pastoral people depending on camel milk rarely get weak eyesight. The content of niacin (Vitamin B3) in camel milk is remarkably higher than in cow milk. Vitamin B3 supports the function of the digestive system, skin, and nerves, and improves circulation making it a beauty and health tonic. Camel milk contains five times more vitamin C compared to cow milk. Vitamin C is anti-infectious and is very important for human health, especially in dry and deserted areas. Camel meat is healthier as they produce carcasses with less fat as well as having fewer levels of cholesterol in fat than other meat animals. Camel meat is also relatively high in polyunsaturated fatty acid in comparison to beef. This is an important factor in reducing the risk of cardiovascular disease. Camel meat is also used for remedial purposes for diseases such as hyperacidity, hypertension, pneumonia and respiratory disease as well as an aphrodisiac. Camels reach live weights of about 650 kg at 7–8 years of age and produce carcass weights ranging from 125 to 400 kg with dressing-out percentage values from 55% to 70%. Camel carcasses contain about 57% muscle, 26% bone and 17% fat. Camel lean meat contains about 77% water, 19% protein, 2.8% fat, and 1.2% ash with a small amount of intramuscular fat, which renders it a healthy food for humans. Camel meat has been described as raspberry red to dark brown in color and the fat of the camel meat is white. The amino acid and mineral contents of camel meat are often higher than beef, probably due to lower intramuscular fat levels. Camel meat has been processed into burgers, patties, sausages and shawarma to add value. Because of its low cholesterol content, Australia’s National Heart Foundation has put camel meat on its list of highly recommended food items. “Camburgers” and “camfurters” are among the products that have been produced by a team of scientists around Prof. Farah at the Swiss Federal Institute of Technology. A tribal Baloch is a traditional rider. The ears are small but have a great power of hearing. 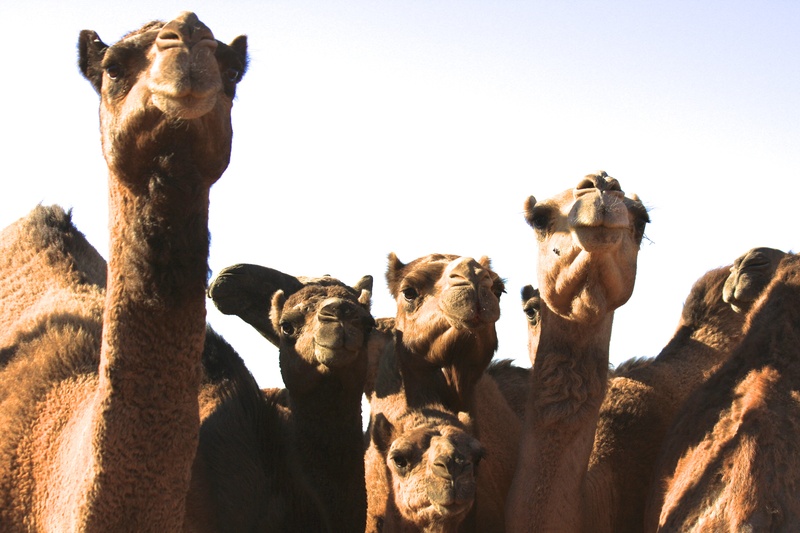 Camel can hear and understand the voice of its header from a long distance. The camels are regarded as the most intelligent animals and can find out their way in the desert when there are no signs of the road. Camels can travel many days without feed or water. In the kind of terrain, I like to ride in, this is a very important factor. A traveler can continue the journey without bothering too much about the feed and water. Camel eats each and everything when tired and hungry. The long muscular legs allow camels to cover great distances, they walk up to 40 km per day with 200 to 300 kg of baggage. Camel is better as riding animal than the horse. They are quieter and gentler than horses. Camels seem smarter than horses about getting themselves out of a precarious situation. If a horse gets tangled up in a rope, it may struggle violently and get rope burns (or worse). A tangled up camel will, after briefly testing the bonds, sit quietly and figure out what to do next. Camels can carry more weight than horses. Also, a well-designed camel saddle has more room to carry whatever extra gear you are packing than a horse saddle has. Riding a camel is quiet and peaceful (that is, once the camel is well trained enough that it no longer grumbles along the way). Camel’s slipper-like feet make hardly any noise. Without the clip-clop of hooves, you can hear the wind sighing in the brush, the rustle of autumn leaves, a coyote howl in the distance on a moonlight ride. The camel gets in high spirits to the tune of music and songs and it walks faster in spite of being tired. The camels are the most disciplined and obedient creatures. They and can be ordered to sit or stand again and again and can walk in a row silently behind the leading man, woman or even a child. The camel is a unique beast of burden, which is loaded in sitting position and gets up with a jerk of its long neck. Camels do not need to be shod. The cost of shoeing horses can really add up! Furthermore, camels don’t usually colic like horses do, although they occasionally bloat. There is a certain pride in riding a well-trained camel. It is a sign of prestige for camel owner to ride and travel on a mehari camel. Camel is resistant to ticks diseases. A load of more than 100 ticks on camel body cannot affect camel health and production. White Kohi camel is called as Syed by its herders as; having high potential to resist fly bite disease (Trypanosomiasis) The disease register of the camel is quite short (very few fatal diseases are reported in camel). Camel is resistant to many notorious diseases like foot and mouth disease, mad cow disease (BSE) and Brucellosis etc. 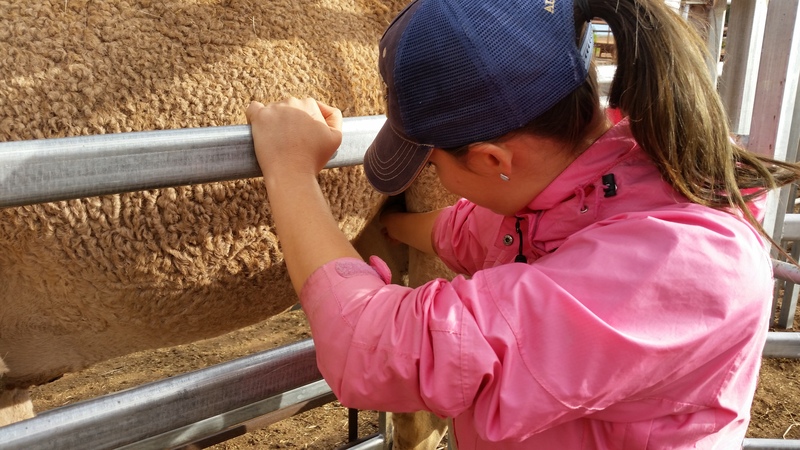 No clinical FMD is reported in camels from any part of the world. MERS has nothing with the camel as the vector but a tool of misinformation and propaganda. The camel has a large mouth, with 34 sharp teeth. They enable the animal to eat rough thorny bushes without damaging the lining of its mouth. Camel can eat everything (bark, dates seed, salty mud, and even paper) when there is the scarcity of feed, while in good feeding conditions, it does prefer protein rich diet. The long flexible neck and legs save it from ground heat and give an easy approach to tall trees for browsing. Camel can browse at 3.5 m above the ground. The upper lip of the mouth has a cut in the middle. The flaps of the upper lip help in catching the twigs (thin shoots of the trees and bushes). The formation of the mouth is such that there are long conical papillae on the inside of the cheeks directed backward and the camel can browse at the thorny plants without any harm. The canine teeth help the camel to take into grip the twigs. Such kind of teeth is not found in other ruminants. The soft palate is developed and comes out on one side of the mouth like a red hanging bladder. This happens usually in rutting (breeding) seasons. Camel has a well-developed power to smell especially water sources. They can smell water 50 miles away by smelling geosmin which is a fragrance produced by streptomyces species growing in the dumped soil. Under very hot conditions, the camel may drink only every 8-10 days and loose up to 30% of its live body weight through dehydration. Other animals die at 10% live body loss through dehydration. Camel urinates less than 1 liter of urine per day in hot summer days. In the period of water scarcity, camel urinates a semi-liquid substance like syrup. Oval shape erythrocytes (instead of round in other animals) expand up to 200% their normal size as camels drink rapidly an amount of 190 liters of water in 10-15 minutes. Camel can store water in its all body compartments (intracellular, extracellular, blood and digestive tract etc). Every organ has the extraordinary capacity to store water. They can live without water for 3 days in summer and 7 days in winter. However, there are some examples of this animal remaining without water for 20 to 40 days. After 40 days the camel goes blind due to excessive dehydration. A camel can vary body temperature up to 6.7 Cº, having a great endurance power to stand the scorching heat. Camel even absorbs heat in the day time by increasing body temperature and dissipates it in the cool night, this way the camel conserves water. The well-developed hump is full of fat that serves as a store of water and food at the time of starvation. The fat of hump gets dissolved gradually during starvation and collects again at the time the camel gets adequate water and feed. The flat pads of the feet are horny and cushioned and help the camel to walk on the sand without making any sound while the feet of other animals sink into the sand. Due to this quality, the camel has been given the name as the “ship of the desert“. Camel’s feet are soft and friendly to vegetation. The hooves of the cow or small ruminants are more aggressive to the soil and contribute more often to the degradation of the pastures in a case of overgrazing. The chest pad helps the animal to take rest on it while sitting on the ground. The rest of the body is saved from the concussion against the ground. There are other pads at the knee and half joint and in front of the joint of thighs. These prevent the limbs from the concussion against the ground. The spines of all vertebrates of the thoracic region are long & high and make the hump, which is more developed than all other Brahman cattle. Very special designed to be a useful animal in the desert. Camel has prominent eyes with a wide range of vision. They are protected by an overhanging upper lid with long eyelashes, which protect the eyeballs from powerful rays of the sun. The upper lip of the mouth has a cut in the middle enable the nostrils to cover to keep out the sand and dust at the time of dust storms. The Bull urinates in gush while standing and urine goes back in between the hind legs and falls on the ground. Its refresh the femoral vein and decrease the heart temperature for water economy. This enables the animal to save itself from slipping in its urine. The soft palate is filled with the air and a big red ball (dulla) is pumped out to attract the female, a very special behavior of camel bull. Camel milk is special and unique as camel itself; it contains a higher quantity of noble elements (lactoferrin, Vitamin C, Zn, Insulin-like protein, and calcium etc.) and deficient in damaging substances (cholesterol, calories, and lactose etc.). Lactoferrin2 is iron-containing protein (recently found by scientists in such a high level in camel milk) has been shown to have antiviral, anti-fungal, anti-inflammatory, analgesic and anti-carcinogenic effects. As camel milk, lactoferrin is unique itself. The world of lactoferrin is continuously exploring by the scientists and diverse health benefits are being investigated. Vitamin C is well known for its anti-infectious qualities and usually found in citrus fruits. As citrus are rarely available in deserted ecosystems, nature gifted these precious ingredients in the form of camel milk. Zinc is a vital part of many enzymes (300) of the human body. This vital mineral is necessary for almost all the important activities of the human body. The high concentration of insulin-like protein (encapsulated in fats) enables it to pass safely from the acidic environment of the stomach. The safe absorption of such protein is instrumental in a high level of insulin in the blood which helps in subsidizing sugar level. Camel! A One in All Creatures. The anti-diabetic attributes of camel milk can be linked with its browsing habits as camel eats from the herbaceous, salt tolerant, drought resistant and nutrients rich plants of its ecosystem. Camel milk is a touchy health promising natural formula for the pregnant woman (low fats and high Ca) and infants/children (as low lactose and high Ca). Being rich with unique proteins (lactoferrin and insulin-like protein), camel milk is a blessing for the patients without any side effects. Camel milk has one-way action; that is health promising. The drug one take from the pharmacy can only treat some specific disease with the high danger of side effects while camel milk is rich with natural medicine and full of needed nutrient for nourishment and good will of the body. The holy Quran has well defined the camel as; do they not look at the camel, how strange it is made.